This brand new and high quality Self-Portrait Mono pod is perfect for Traveling, Hiking, Camping,Weddings,Parties, Concerts, Aerial Photos, Sports event etc. Extendable and adjustable self-portrait mono pod. Can capture photos or videos above the crowds or in hard to reach places. Just setup time or video mode on camera and press capture button. Then Extend Aim and Smile. 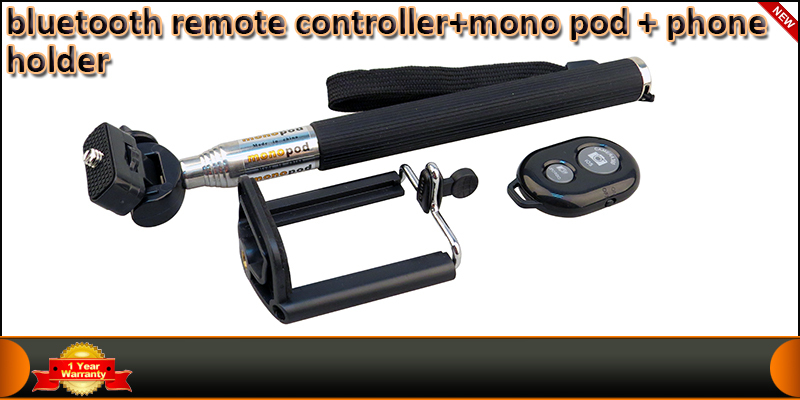 Made from stainless steel material,fits easily in pocket and includes a wrist strap, a mobile phone holder and Bluetooth Remote Controller. 3 in one packing for mobile phone. Easy& convenient to use & operate. Li-button battery CR 2032 Included.